"Fresh Moroccan, European fusion in a beautiful secluded setting"
Located in the small, yet up and coming Berber village of Tamraght, Riad Dar Haven feels quite harmoniously isolated from the modern world, yet a short drive in either direction to the Moroccans vacation destination of choice, Agadir city, and the humbling bohemian surf village of Tagazout with its lazy simple living and picturesque vibrant yet deeply relaxing beach. 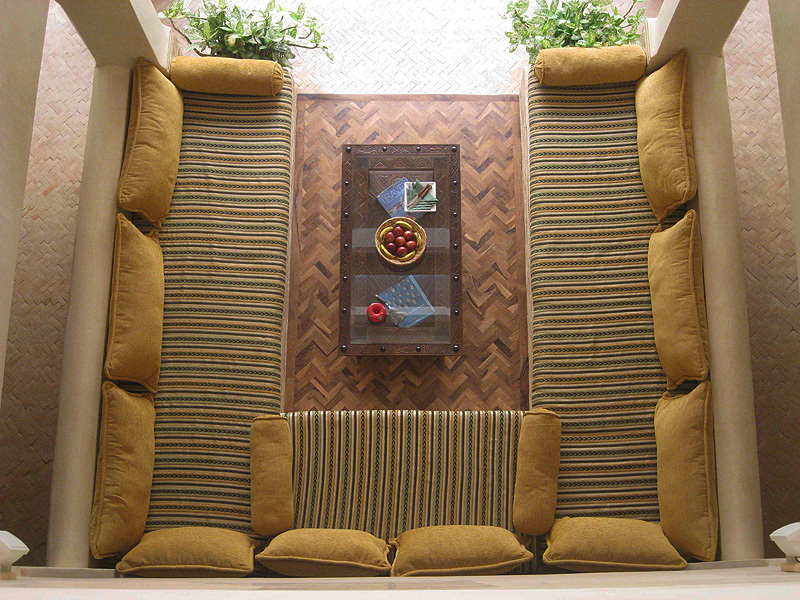 Created lovingly by owners Renne and Hisham, Riad Dar Haven is an accumulation of traditional Moroccan craft with wonderfully tasteful modern additions, creating a Riad in Agadir that crosses continents with a fresh and homely result. 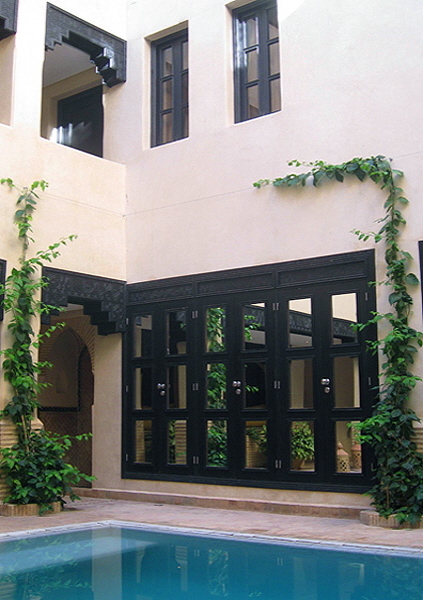 A true home away from home, Riad Dar Haven welcomes guests into their small family. 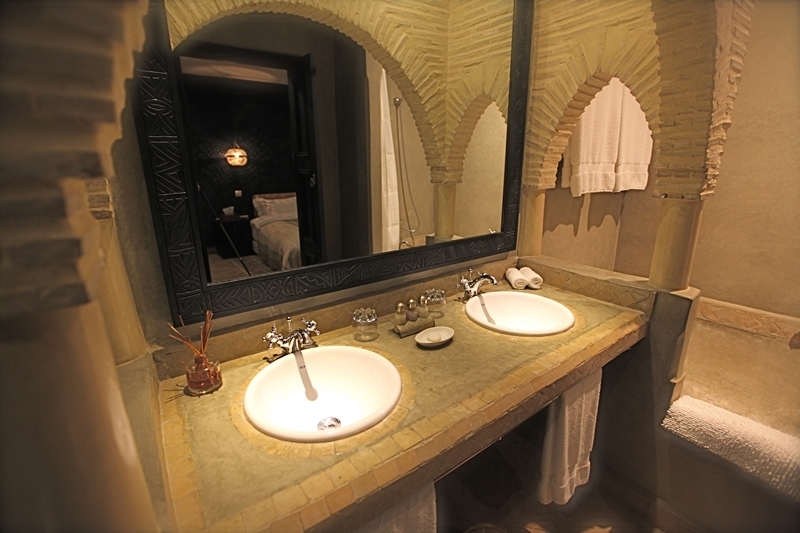 Rooms at Riad Dar Haven are spacious and have a welcoming homely atmosphere with collection of personal beautifully crafted creative additions. 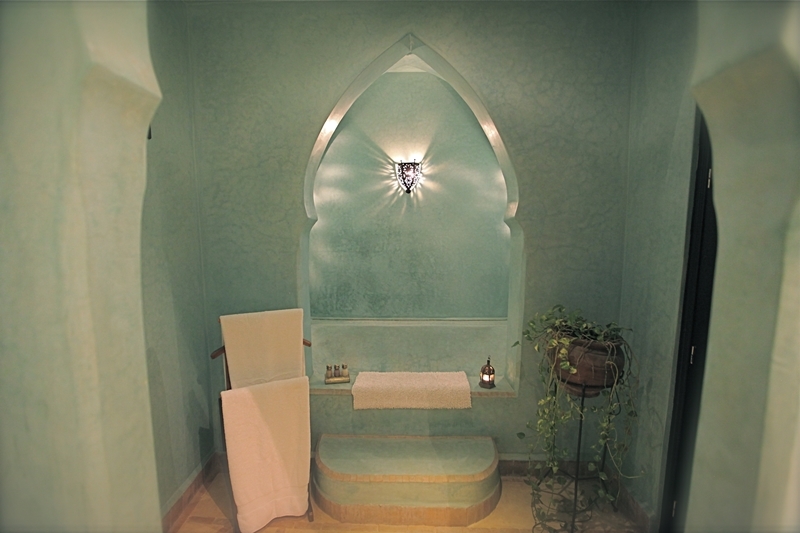 Rooms at Riad Dar Haven are well suited for a honeymoon in Morocco or romantic getaway on the coast. The roof terrace offers beautiful ocean views from the top of Riad Dar Haven, to be enjoyed from spacious sunbathing areas or squared salon pergola sitting grandly in the centre of the terrace. 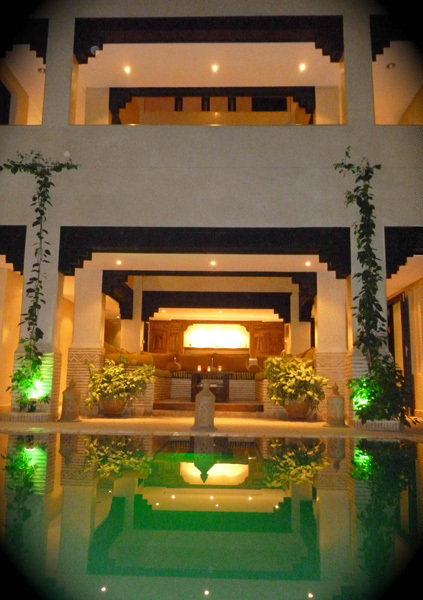 The central patio at Riad Dar Haven has a deep square pool surrounded by luscious seating areas with big family tables perfect for an intimate romantic evening by the sea or as a small group holiday in Morocco to bring close people closer. 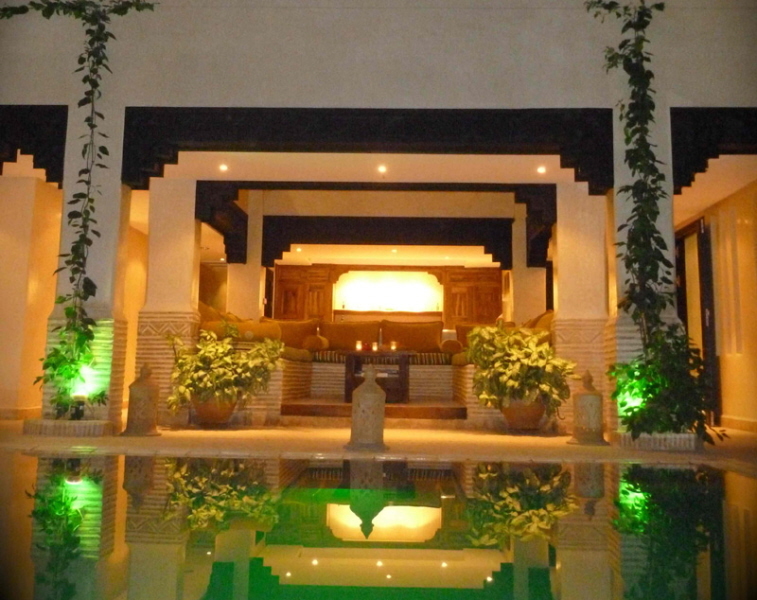 A cinema screen projected onto the back wall above the pool is a nice addition, along with a vast film collection, creates a sensual romantic evening for your stay in Morocco. 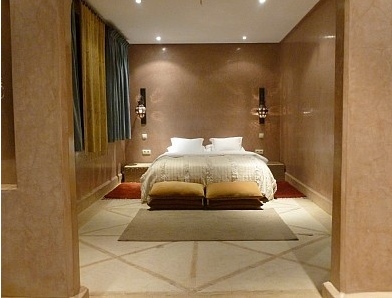 A beautiful place to enjoy your stay in Agadir, for a deeply relaxing holiday in Morocco, Riad Dar Haven is a Riad in Agadir suited for a carefree getaway on the coast of this wonderfully diverse and welcoming country. Breakfast is always included in the room rate and is served in the poolside salon from 8am to 10.30am. Side board is prepared for self service tea, coffee, hot milk, cold milk, cereals, fruit, toast. A selection of jam, butter, honey, yoghurt, fresh orange juice, bread, patisserie (type of patisserie changes daily) is served to the table and omelettes or scrambled eggs are prepared fresh to order. We do not serve lunch at the riad. However we recommend a couple good beachfront cafes serving fresh seafood, salads, pizza etc just 15 minutess walk from the riad. 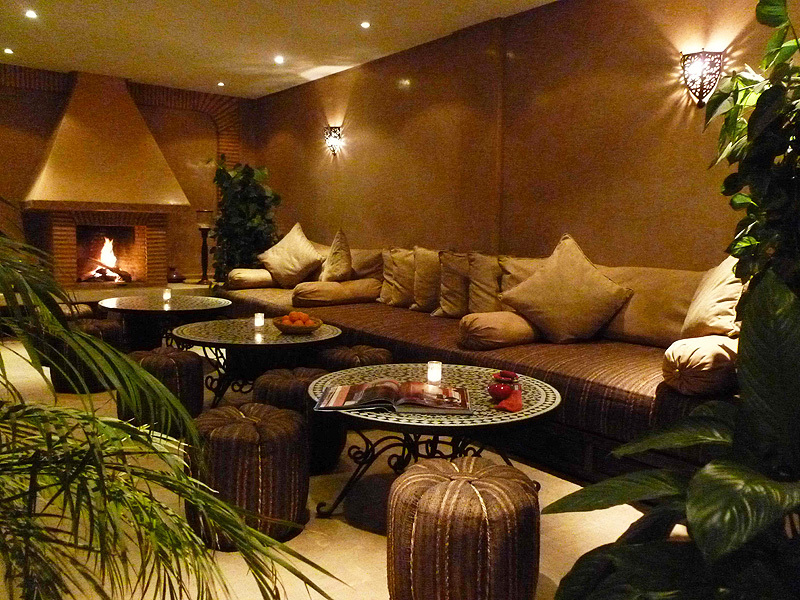 There are a few simple cafes, just 2 mins walk from the riad offering a basic snack selection. Dinner is available every night. 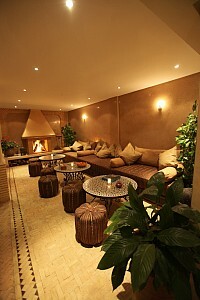 We offer a traditional 3 course set-menu priced at €14/ 150dh per person, beverages excluded. Dinner should be pre-ordered before 12 midday the same day. Note we are not licenced to sell alcohol though guests are welcome to bring their own. Surf lessons/surf guiding, horse/camel rides along the beach or 1/2 day treks into the mountains, quad bikes, jet ski, yoga. A day trip into the nearby Paradise Valley is also recommended for nature walk or hiking for varied abilities and swimming in natural rock pools - great alternative to the beach. "Renee and Damon were the perfect hosts; welcoming and there to provide information when you want it and discreet when you wanted time to chill. They are both very knowledgeable about the local area and clearly love their adopted country. The food was delicious - breakfast was a selection of fruit, yoghurt, breads and the menu available for other meals was varied and everything we ate was full of flavour and tasted wonderful." "Damon and Renee are the hosts with the most. Every question I asked was answered, nothing was ever too much trouble. 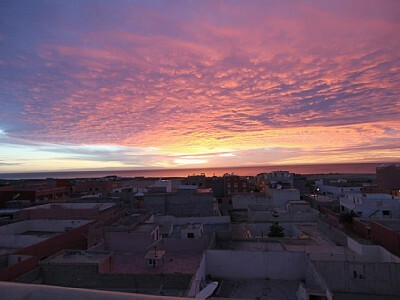 The riad....well words fail me.....just simply the most beautiful place I have ever stayed. The food was absolutely delicious, and as a slightly nervous lone traveller I was made to feel very much part of the family. I can' t thank Damon and Renee enough for making my stay so very special..."
"I've just got back from morocco and I have to say it has been a brilliant experience. This place was awesome but what made it better the service was exceptional. All ready looking forward to going back..."
Located in the small Berber village of Tamraght, a traditional residential area for the local fishermen and their faimliyis. 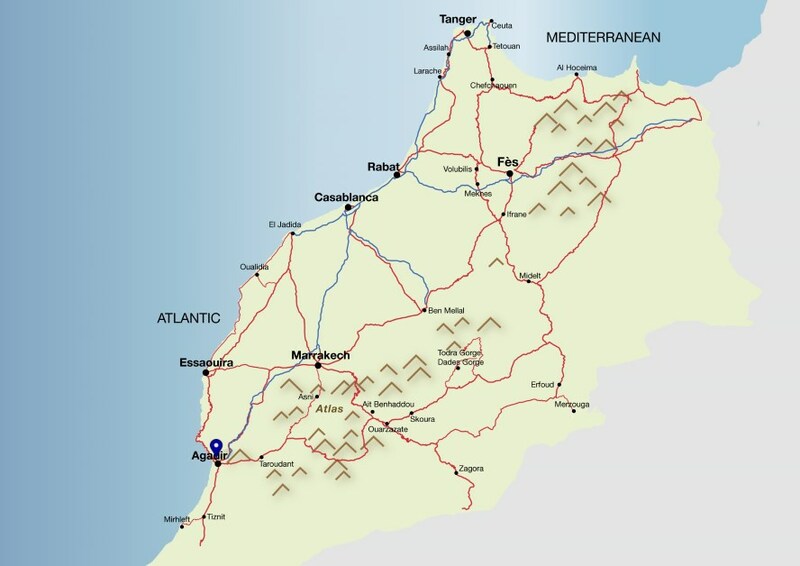 Now populated with the occasional European and surf shack, Tamraght is a good representation of a traditional Berber village. 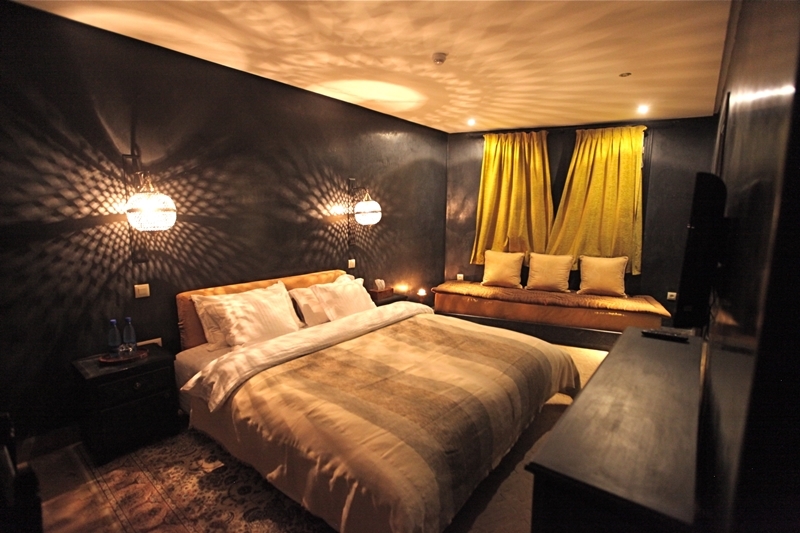 Riad dar Haven is located a short walk from Devils Rock with its yearly inspiring and vibrant Marriage Festival: a must see in Morocco. 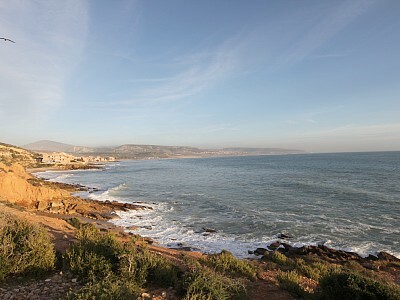 Agadir is 20 minutes drive along the coast and the surfing village of Tagazout 10 minutes. A spacious suite of 58m2. Located on the ground floor with windows facing out onto the street. It has a comfortable queen size bed, walk-in closet, mini-bar fridge, writing desk, separate sitting area. Romantic room of 29m2. Located on the first floor with windows the courtyard. It has a comfortable queen size bed, spacious bathroom. Romantic mauve toned room of 29m2. Located on the first floor with windows facing into the swimming pool courtyard. 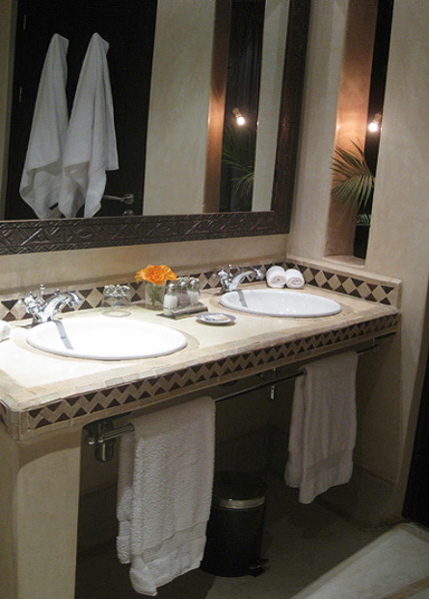 It has a comfortable queen size bed, spacious bathroom with extra large tadelakt sculpted bathtub. Earthy ochre toned room of 32m2. Located on the first floor with windows facing out onto the street allowing plenty of sunlight into the room. 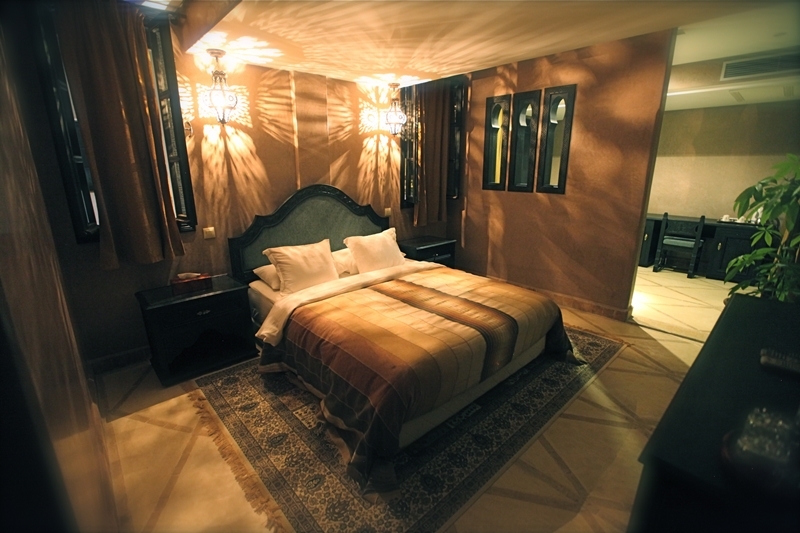 It has a comfortable queen size bed, writing desk, sofa & tadelakt sculpted bathtub. Soothing blue hued room of 42m2. Located on the first floor with windows facing out onto the street allowing plenty of sunlight into the room. 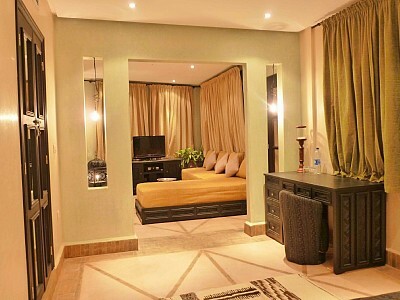 It has a comfortable queen size bed, writing desk, mini-bar fridge, sitting area & large tadelakt sculpted bathtub. 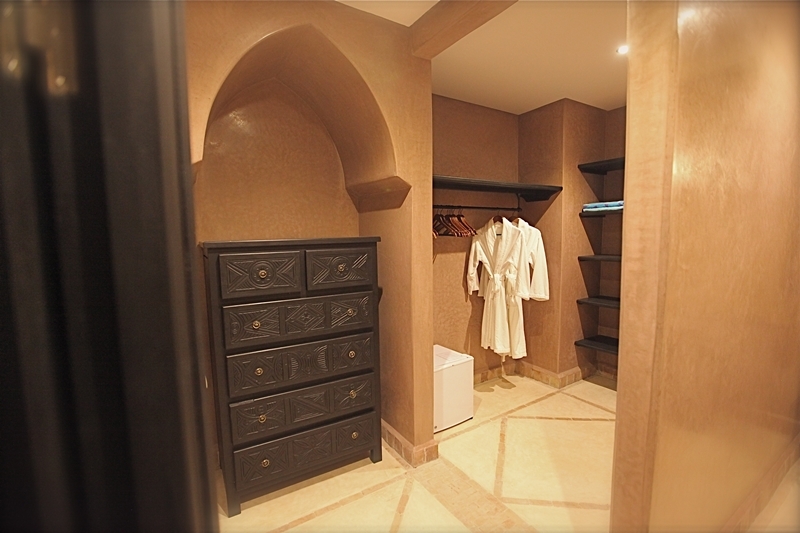 Deep shade of earthy brown, spacious suite of 58m2. Located on the ground floor with windows facing out onto the street. It has a comfortable queen size bed, walk-in closet, mini-bar fridge, writing desk, separate sitting area (which may be converted into another queen size bed or 2 singles if required) & tadelakt sculpted bath. Light & refreshing shade of pastel green & beige, spacious suite of 58m2. Located on the first floor with windows & balcony facing out onto the street. It has a comfortable queen size bed, walk-in closet, writing desk, mini-bar fridge, separate sitting area (which may be converted into another queen size bed or 2 singles if required) tadelakt sculpted bath. Light olive green coloured suite of 59m2 with warm apricot toned bathroom. 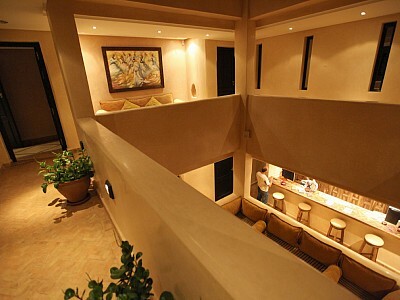 Located on the first floor with windows facing into the swimming pool courtyard and balcony facing out onto the street. It has a comfortable queen size bed, walk-in closet, mini-bar fridge, writing desk, separate sitting area (which can be converted into a single or double bed if required) extra large tadelakt sculpted bath & separate shower. 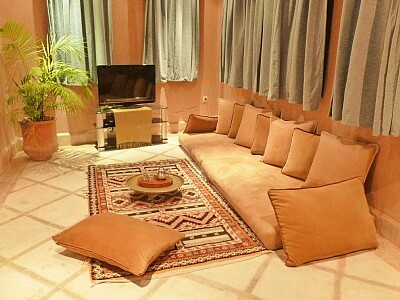 The base rate price at Riad Dar Haven is in pounds, euros, or Moroccan dirhams and exchange rates are approximate.